Treetop camping; is it an extreme sport or is it just pure relaxation? Extreme sports are all about pushing the limits, boldly going where nobody else has gone before (just so you know, Star Trek is definitely not extreme, but the statement is so cool). It is about finding things that haven’t been done and turning it into something that makes you interesting and unusual. So, does treetop camping qualify? 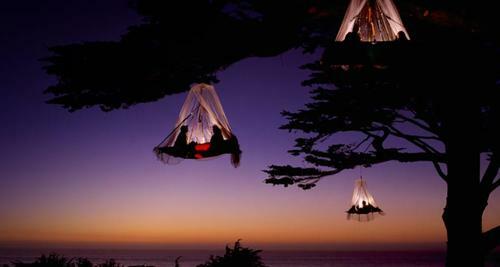 Basically, treetop camping means you sleep in the middle of tree, suspended from a branch. It all sounds very Katniss in the first book of the Hunger Games, but it isn’t actually as risky as that. Basically, you will be using so called tree boats, which are like a hammock with four corners. Each of these hammocks is safely attached to branches. Ok, So It’s Not Extreme? So, that doesn’t sound very extreme at all, when you think about it does it? That is until you find out that you will have to climb the tree yourself and that you will be pretty high up. Not just that, you will have to spend the night roped in to various harnesses. In the morning, you are likely to be woken up by the rising sun, after which you can enjoy your breakfast in your tree boat, or at the bottom of the tree. If you’re like most people, you will wake up with pressing bladder issues, so eating at the bottom of the tree may be more suitable, since you are likely to have to climb down first and foremost anyway. Around 11 in the morning, everybody will be expected to be out of their tree boats and back at the foot, to take part in some more tree climbing during the day. So, is treetop camping extreme or not? In all honesty, probably not. However, that doesn’t mean you can’t make it a bit more extreme. You could try treetop camping in one of the giant redwoods in Canada or the northern United States, for instance. You could combine it with some more extreme rock climbing or bouldering. There are loads of possibilities. However, the act of treetop camping itself is definitely designed to be nice and relaxing, allowing you to be at home with your thoughts and with nature. 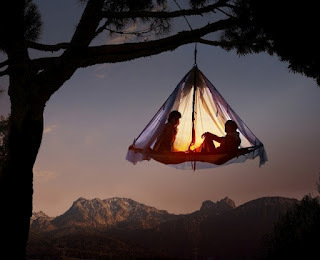 This entry was posted in Bizarre, Extreme Camping and tagged extreme camping, Treetop Camping. Bookmark the permalink.